A sailor and Collins Radio Company joined in a new effort last month. When Lt. Cmdr. M. Scott Carpenter circled the earth three times in his Aurora 7 Mercury space capsule, he kept in touch with Collins communication equipment identical to that used on three previous space flights. Then upon re-entry into the earth's atmosphere Carpenter - as expected - lost voice contact as a layer of ionized air built up around the capsule. For a suspenseful 37 minutes the world waited with growing anxiety. Then a Navy search craft reported receiving signals from the Sarah rescue beacon. The pulsating signals from the beacon led searchers to the site some 200 miles from the predicted impact area where the veteran Navy pilot was waiting in the waters of the Atlantic. 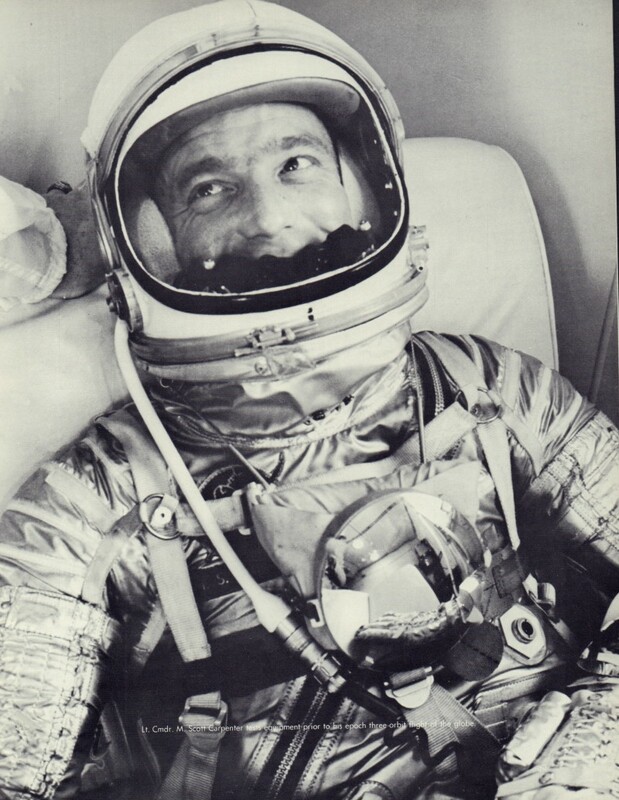 The message was relayed to an anxious world that Scott Carpenter was indeed alive - the world's newest orbital pilot. 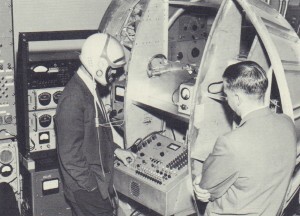 Test mockups like this furnished Carpenter with a complete working knowledge of his Aurora 7 communication capabilities prior to the flight. M. Scott Carpenter represented a solitary figure two years ago as he left the Cedar Rapids plant after a routine inspection of communication equipment. As America's second man in space, this scene could hardly be duplicated today. Carpenter's world-wide prominence now demands the presence of a corps of photographers and reporters. Earlier, everyone feared disaster had befallen the United States' second manned orbital mission. Apparently, everyone was concerned but Scott Carpenter. “Had I known you were worried, I would have been worried, too,” Scott said apologetically later. However, he indicated the problem was not one of failure of the communication equipment but his failure to communicate. And Collins officials repeated once again the reliability of the company's equipment in light of the newest success. 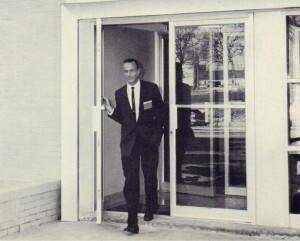 Indications at this writing are that the equipment continues to be functionally adequate and reliable and that no changes will be made when the next Mercury flight is made. This does not mean that efforts to improve the communication system will cease. “The more information we get from present equipment in future flights, the more we will have for analysis and continued improvement,” states Richard Valentine, Collins Project Mercury communication manager. Much remains, for instance, to be learned about high frequency (HF) communication from orbital flights back to the ground. “The Glenn and Carpenter flights proved, in effect, that HF voice transmissions can be made to any point in the world,” Valentine comments. At one time over the continent of Africa, Carpenter's voice was picked up half-way around the world by the capsule communicator in Hawaii. This was during a brief HF transmission. Lt. Cmdr. M. Scott Carpenter tests equipment prior to his epoch three-orbit flight of the globe.